Imagine everything unexpectedly freezes on your computer. You can’t even open your Internet browser. Suddenly, a message pops up on your screen. It says you have 12 hours to pay a fine of thousands of dollars or your important data, documents, photos and videos will be gone. This intrusion is known as a ransomware attack. That’s likely what happened during last week’s massive cyber attack. According to the BBC, more than 200,000 victims in 150 countries, including businesses and individuals, were affected. Unfortunately, the cybercriminals demanding the ransom are usually the only ones with the encryption key required to get your data back. Without the key, your files cannot be recovered, resulting in a complete loss of everything stored on your computer. Worse yet, you pay the ransom and still don’t get the key to your files, so now you’re out $$ and all of your valuable data. A ransomware attack is scary stuff. 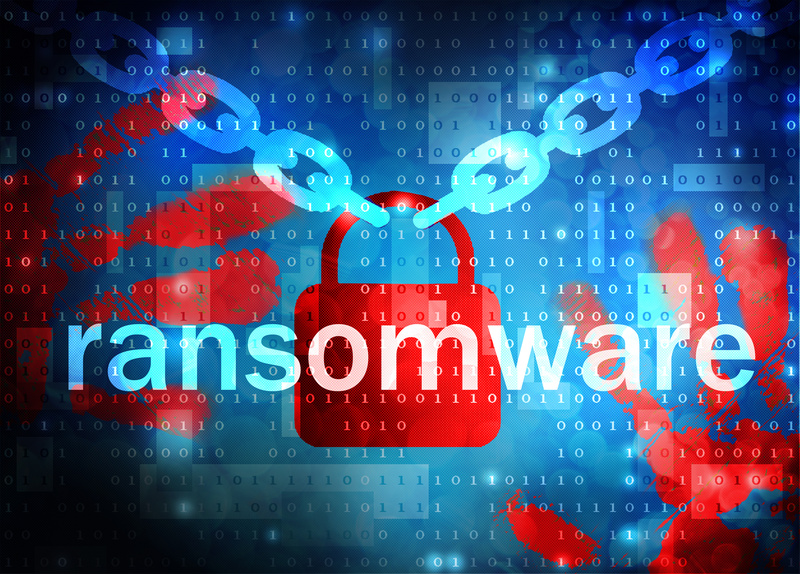 But there are ways to minimalize the chances of a ransomware attack happening on your computers, whether at home or in your business. Follow the preventative measures listed below to reduce the chance of an attack and to help keep your data secure. 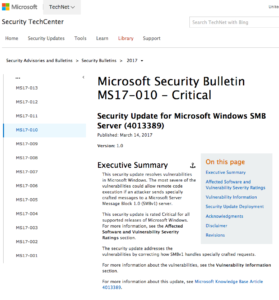 If you still use an older version of Microsoft Windows, read the company’s latest blog post to better understand if your PC is vulnerable to a ransomware attack. Then, download the patch to update your system’s security. 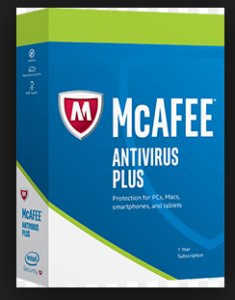 On personal computers, install antivirus software, such as McAfee AntiVirus, Norton by Symantec or Bitdefender Antivirus Plus, to identify and help prevent malware. For the ultimate protection, install real-time scanning software, such as that offered by Microsoft or Comodo, to work constantly in the background, checking for malware every time you interact with a file. Always keep software and apps updated to take advantage of the latest security features. Before you install an update for an app, software program, operating system or an Internet browser, check first for news that updates have been made available. If one is available, go directly to the company’s website to download the update. Never use links in emails or in ads to get the update. These could be phishing attempts to get you to download malware. Cyber criminals want you to click on false links in email messages so they can access your login information. For instance, the recent hacking attempt on the email account of John Podesta, Hillary Clinton’s campaign chairman, is a case in point. The phishing email the staff received requesting Podesta change his password looked legitimate. But a closer look at the sender’s address was the clue everyone missed; in reality, the email was a clever phishing scheme. Rather than click links in emails – even those from utility and financial companies – always type the website address directly into your browser to make changes to your account. Read our blog post, 10 Signs You Are the Target of an Email Phishing Scam for more info. Never click on links or open attachments in emails you are not expecting. SPAM emails are one of the most common ways cybercriminals get access to your computer. Once you click the link or open the attachment, your computer could become infected, making it easier for attackers to install their vicious malware. cloud or an external storage device. If your computer is infected with malware, you’ll be able to recover the data from your last backup. 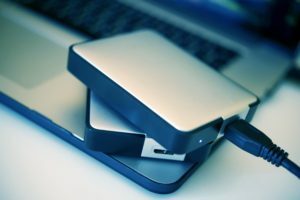 If you back up your files to an external hard drive, disconnect the drive from your computer as soon as the backup is complete. Otherwise, cybercriminals can access the drive through your computer. According to Microsoft, attackers hold the external drives hostage in order to increase your motivation to pay the ransom. Create unique passwords for each online account to keep cybercriminals from gaining access. Use a password manager to simplify the task. 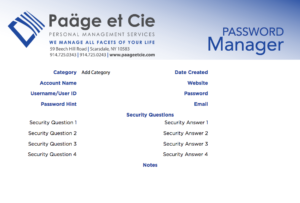 Password managers are available via software, Internet browsers, or use our free fillable Desktop Password Manager. 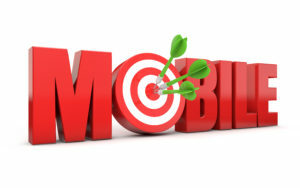 Some ransomware schemes involve mobile devices. Attackers use geo-targeting to gain access to personal details about their victims, such as location, where they work and other activities. The attackers then use this information and language that sounds legitimate to get you to download an update that contains malware. Before installing security patches or updates, research and verify that the update is legitimate. Ransomware has become more sophisticated lately, with attackers using social media networks and online advertisements to gain access to victims’ computers. To stay safe, disable Internet browser cookies that track your every move. 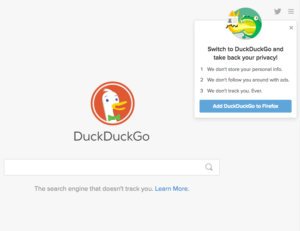 Consider switching to a browser that doesn’t follow you around the web, such as DuckDucGo.com. Limit the amount of information used to customize the ads that pop up on your screen. For instance, if you have a Google account, see our blog post about taking steps to change your Google privacy settings. For more tech tips and tools essential to simplifying and organizing your everyday life, send an email with your name and email address to hello@paageetcie.com, and we’ll add you to our enewsletter list.